Zhou Delijie stood on the blue tennis court at the Nick Bollettieri Tennis Program at the IMG Academy, in Bradenton, Florida, his arms outstretched, as if he had reached his dream of becoming one of the best tennis players in the world. The 14-year-old teen, originally from Suining in Sichuan Province, trained for several months at the world-famous sports academy, whose alumni include top former player Andre Agassi and women's champions Maria Sharapova and sisters Venus and Serena Williams. Zhou is one of a growing number of Chinese teens who left home to pursue sporting dreams overseas. They are the "divergents" from the state-led sports system, financed by well-off families rather than by national teams. Their parents act as their agents - choosing coaches and which tournaments to play. On their road to sporting greatness, they look up to snooker champion Ding Junhui and golf prodigy Guan Tianlang, as successful examples. "Will this be the path to my success, too?" Zhou pondered. "The past years have witnessed more Chinese people come to train at the IMG Academy, especially its tennis and golf programs," said Florida-based Ding Chunping, one of the academy's representatives hired to recruit Chinese students. Ding attributes the trend to China's growing enthusiasm for tennis and the presence of Chinese sporting superstars. More Chinese families are also financially secure enough to fund a professional player and it has become easier for them to get a visa to the US. In 2005, Ding began working with the IMG Academy, affiliated to IMG, a global leader in the sports industry which runs training programs in golf, tennis, soccer, basketball and football. It was at the time when China's female tennis players started gaining world attention after the 2004 Athens Olympics, in which Sun Tiantian and Li Ting won the gold medal in the women's doubles. Other players including Peng Shuai and Li Na had just proposed their controversial plan to break away from the national team. They wanted to find their own coaches and determine their own tournament schedule, and manage their own earnings. Ding seized the potential to build relationships between Chinese players and Western sporting academies, and for such partnerships to become more common. "The IMG Academy has shown great interest in expanding its reach to China. They hope to grow their number of Chinese students," said Ding. "There were less than 10 Chinese registering with the academy each year a decade ago, compared to dozens of people in recent years." The IMG Academy did not respond to questions from the Global Times by the time of going to press. 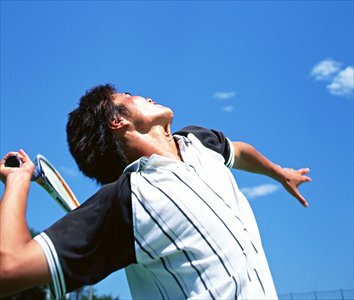 Zhou, whose idol is former world No.1 Roger Federer, showed a flair for tennis when he was only five years old. By the time he was 10, he had dropped out of primary school and started full-time training with the junior Sichuan tennis team. In subsequent years, he has proven his potential by winning a number of junior tennis tournaments in China. Supported by his father, who works in the electric power sector, Zhou was able to fly unaccompanied to Florida in 2013, to get the world's best tennis training. It was a new experience for Zhou and an encouraging and productive journey. There were only seven or eight Chinese peers training at the academy. Zhou's class consisted of five students, including two Chinese and a Brazilian. His life followed a strict routine: attending lessons in English and American history from 8:55 am to 12:30 pm, followed by physical training in the afternoon, including lessons on the court, physical capacity training, game psychology and yoga. He also had the chance to get personal guidance from legendary coach Nick Bollettieri, now 83. Bollettieri founded the Nick Bollettieri Tennis Academy in 1978. After being purchased by IMG in 1989, its name was changed to the Bollettieri Tennis Program. "He watched me play, and told me I was too hurried on court. He advised me to maintain a more stable mentality," recalled Zhou. Zhou stayed there for three semesters until January 2015, having paid more than 1.5 million yuan ($240,000) for training and accommodation. "My father had hoped that I would complete high school at the academy, but I decided to leave because I thought the training regime was not rigid enough for me," said Zhou. "In China, coaches require you to play tennis intensely for hours every day, but in the US, on-court training only accounts for a small part." "I was more accustomed to Chinese coaches who strictly supervised my practice," said Zhou, who now trains with the Sichuan team in Chengdu. Zhou's choice to leave the academy is similar to that of Xu Shilin, 17, who trained with the Bollettieri Tennis Program for a short period before returning to China. Xu is still playing outside the State sports system, signing contracts with sport agents and obtaining sponsorships from private enterprises. In 2014, Xu spent more than 1 million yuan in training and participating in tournaments. In October 2014, Xu became the first Chinese player to go top of the International Tennis Federation's (ITF) world junior tennis rankings for girls age 18-and-under. She's being touted as the most likely successor to China's most successful tennis player of all time, Li Na. But not every dream of success turns out as planned. When Bao Guiwu talks about his son Bao Tianyu, he feels guilty. The 53-year-old father can not forget how he hurt his son because of his eagerness for him to succeed. A wrong training method demolished his son's enthusiasm for the sport. "Tianyu turned his face, his eyes were red. I had just shouted at him for making a mistake on the court in front of his coach. I saw his face was wet, but I didn't know if he was crying or if he was just sweating," said Bao Guiwu, who lives in Florida. A decade ago, the Bao family relocated to the US from Tianjin, to fulfill their ambition that their son, then 13, would one day become the best tennis player in the world. "At the time, Tianyu showed tremendous talent while training at a sports academy. I was so obsessed that I thought as long as he had the best coaches, he would succeed. So we came to the US." It was a gamble the Bao family were prepared to take. They rented a house near the academy and went to watch Tianyu train every day. Tianyu attended a local middle school and kept training with the Bollettieri Tennis Program for eight months, at a monthly cost of more than $2,000. After leaving the academy, Tianyu continued playing in tennis events in the region, but he became increasingly rebellious as he grew older. "The relationship between us became tense and we often quarreled," said the father. Bao Guiwu gradually came to realize that his aggressive manner of pushing his son to train was wrong and irrational. His son began to loathe tennis. "My son said whenever he saw a child scolded by a parent, he felt sad, and was reminded of his own painful memories of training." This summer, Tianyu graduated from a university in the US. He coaches tennis at local clubs and is planning to further his university studies. Living near the IMG Academy for a decade, Bao has seen many Chinese parents and their children, come and go. "I would advise Chinese parents not to put too much pressure on their children and to protect them from getting hurt. They can only play well based on their own willingness," said Bao. According to Ding, most Chinese parents sending children to the IMG Academy have two goals in mind: either for them to become professional players or to get them easier access into a university in the US. "There are hundreds of professional tennis players in the world. It is so hard to get into the main draw of a major tournament," said Ding. "On the other hand, tennis can help students get scholarships to university. They can join college teams. Some college coaches go to the IMG Academy to scout for talented students." Based on the methods and standards of the Bollettieri Tennis Program, a string of domestic private tennis academies have been founded over the past decade. 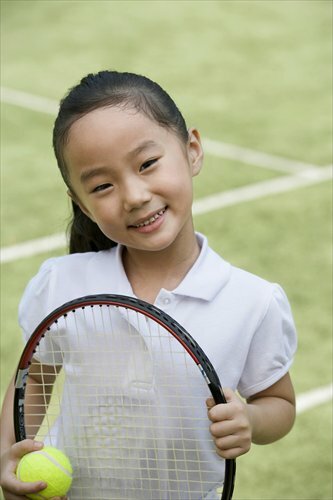 "The domestic programs can teach students tennis skills without the English language barrier," said Guo Jingtao, director of Chaoda International Academy. It's one of the biggest private tennis training campuses, with training centers in Baoding and Langfang in Hebei Province. However, Guo said the Western training philosophy, which has a holistic approach to building a teen player's physical condition and encouraging children to play of their own initiative, is a more sustainable approach than China's traditional methods of training. Zhou is still proud of his achievements at the IMG Academy, claiming the campus title in the age group of 12 to 14. But since returning to China, he's been winning fewer games than before. He said he will keep training and wait until he's 18 to see if he should quit his goal of becoming a professional player. "A lot of Chinese players perform really well before they reach 18, but fade as they get older." But Guo disagrees that 18 is the decisive age to determine the future of a tennis player. "A lot of Chinese parents and players are too quick to make a judgment on whether to become a professional athlete or not. Tennis players win their first title at an average of 27," explained Guo. "Li Na triumphed at the French Open after completing her university studies."